Gary Ham’s beloved Wooper Looper is back in an adorable new form – meet the Mini Wooper Looper!!! Produced by Pobber, the Mini Wooper Looper vinyl figure will be making its debut this weekend at New York Comic Con 2018. 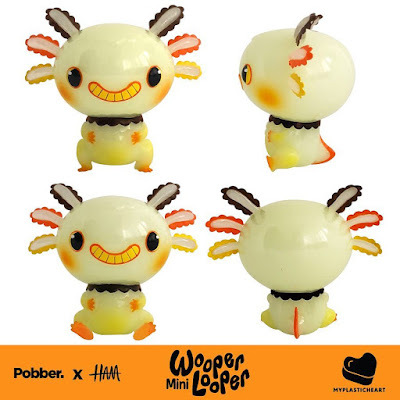 For its very first release, the Mini Wooper Looper will released in an awesome convention exclusive Autumn colorway. 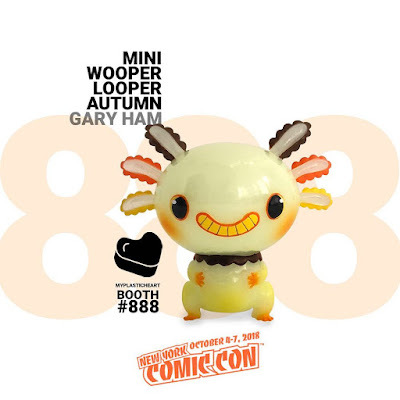 Cast in glow in the dark vinyl and featuring yellow, orange and brown sprays, the Autumn Mini Wooper Looper can be purchased exclusively at the myplasticheart NYCC booth #888 for $35.